Scrapsational: Some News and a Winner! Some News and a Winner! 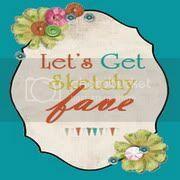 In other exciting news, I got an email this past weekend from Kathy at Scrap Our Stash. I was a Guest Designer there for the month of March and she asked if I would stay on as a Design Team member! 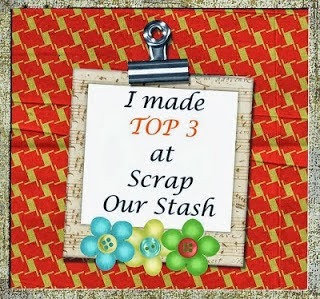 Scrap Our Stash hosts one challenge a month as well. There is always a theme to scrap about. 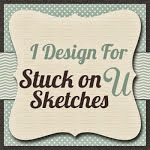 Submitted layouts are featured on the blog and you then have a chance to be asked as a Guest Designer for a following month! I would love to see you there as well! The SOUS bloghop was so much fun! Thanks to all the lovely people who left comments and became new followers here on my blog! 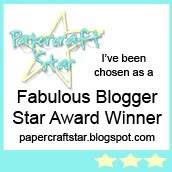 I really loved reading your comments and welcome all my new scrappy friends! 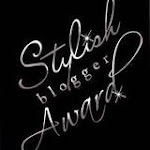 The winner of my blog candy is Stephanie who said...."Gorgeous layout. Love the bright colors and depth. I'm a new follower." Stehanie, please send me an email at charran359@hotmail.com with your snail mail addy and I'll send that off to you pronto! Wow, all kinds of happy mail, huh? So excited for you! Can't wait to see all your new creations! And congrats to Stephanie! It's great to hear that so many exciting things are happening in your scrapbook world! Congrats, Char! Look at you go Sis!! Congrats on the design teams! They are so much fun. Your on a scrappy roll!!! Wow, congrats Char, were soon to see you all over the place! Congratulations Charlotte! I'll check out "All About Me" on April 5th. So happy to have you on the team! Congrats on other team as well. Woohoo!